In Tarot, 2019 is the year of the Hanged Man: key card 12 (2+0+1+9=12) – letting go. 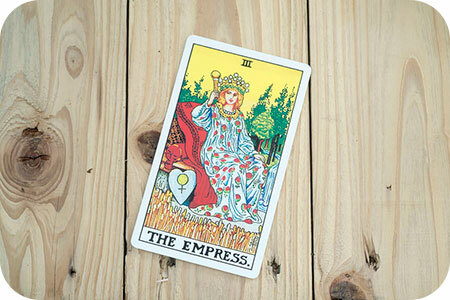 It is also the year of the universal archetype of the Empress: key card 3 (1+2=3) – love with abundance. Usually only one card is highlighted for a Tarot year, but I feel it’s important, if possible, to also reduce the year number to a single digit, to have the energy of both archetypes and vibrations. Also, in Numerology, the we are in a 3 year, which encompasses everything the Empress embodies. Furthermore, this year’s numbers, 1, 2 and 3, is a message to live life more simply and to choose only the things that bring us love and beauty. First, let’s look at how we can deepen our understanding of The Hanged Man’s energy to assist us in this New Year. His message is one of letting go, release, looking at things from a new perspective, a pause or sacrifice. In our lives we can look at what we need to release that may be holding us back in relationships, career, health, or our spiritual growth. There is so much terminology and discussion about what it means to be ‘spiritual.’ There are both religious and other esoteric practices that people use, and entire languages developed around spirituality. While I personally believe that much of this is good, it can also often lead to things like elitism and greater polarization of people and groups. In the Western world much of our religious tradition comes from Greek or Hebrew esoteric writings. In Greek the term for spirit is pneuma, and in Hebrew it is ruach. These are transliterations of the original words. 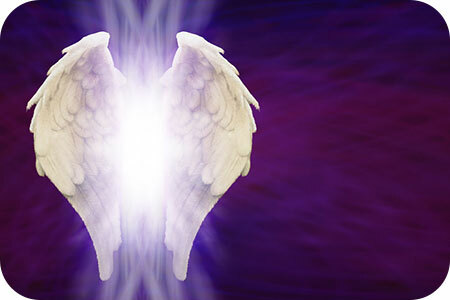 The incredible Archangel Uriel is often referred to as ‘The Light of God,’ or ‘The Fire of God.’ As these names suggest, his purpose is to help light our way in life. Indeed, his knowledge is vast in that he knows all there needs to be known, making him an amazing guide and teacher, who has much love and wisdom to pass on to us. Therefore, if you are looking for a better way in life, why not call upon Archangel Uriel to be your guide and mentor, as he will gladly oblige by offering you his guidance and wisdom, and help lead you to make the right decisions with confidence. The colors of this magnificent being are purple, gold and red and those who have come into contact with him often refer to his energy as being almost like the Sun itself – powerful, warm, vibrant and welcoming. Indeed, many people like to work with this master of alchemists, while engaging in spiritual work, for the understanding and wisdom that he brings. Who are you? You are a wave. The very sound of rhythm—the very essence of sound. You are the first line drawn on the wall of the first cave. What do I mean? Your portrait, is what I mean. When you look into the mirror, do you see yourself or someone else? When you hear others talking, is it your voice or theirs? Is your voice your own? These are the questions waves must ask. But what is a wave? A wave is a single expression of the collective vibration—a wave is a gathering of energy corresponding within the context of a rhythm. A wave is a beautiful motion, an elegant stroke—emerging from the fluid totality of all beingness, expressing for a brief moment the collective sound from its origin, before returning to it again. A wave is the telling and the trajectory of the soul. A wave is the shadow steeping out of the dark, and then being consumed back into it. This is you. How beautiful you are. 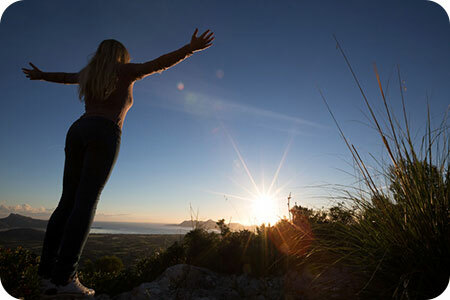 Are You Experiencing A Spiritual Awakening? 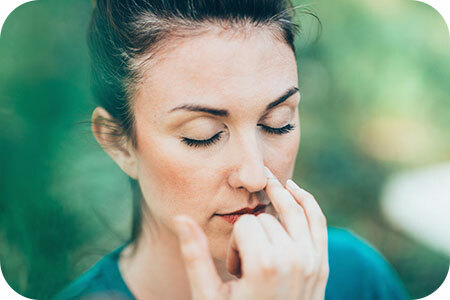 Doing psychic readings, I sometimes talk to someone who thinks they are ‘going crazy,’ but in actuality they are experiencing symptoms of spiritual awakening. But how does one recognize the common symptoms of spiritual awakening? 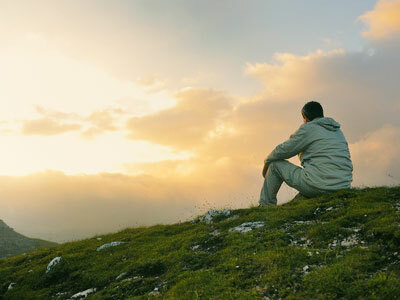 Spiritual awakening does tend to occur spontaneously, and from what I’ve witnessed, the more open-minded the person is and the less attached to outcomes they are, the more available or ‘ripe’ they are for a spiritual awakening to occur. It is often said that the purpose of our existence is love. This is in part true, we are constantly evolving into a greater understanding of love. But this is really only half of the answer. The purpose of life is also the experience. The point of it all is to have interactions. Yes, it is true that each of us has incarnated with a specific purpose for being here. Ultimately the purpose of life is to recognize our most authentic expression of what it means to be us, and then cultivate the freedom to express that authentic self. Love most certainly facilitates this process, but you could say a better explanation of the meaning of life is the experience itself. 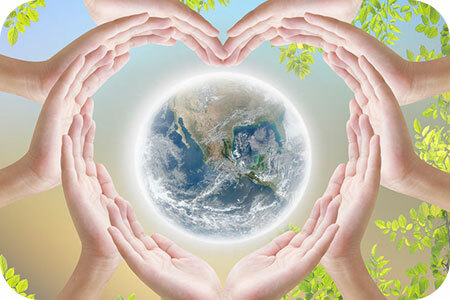 We all incarnated on this planet from perfect love, and will return to perfect love. Within the realm of spirit we are all one. In fact, we are all one at this very moment. However, in the time-space paradigm, it is easy to lose touch with this Oneness of Spirit.